Earlier this week in anticipation of the D5300 announcement I wrote an article about single product introductions and their implications (or lack thereof) on a company's fate. It's time to elaborate, as I was foreshadowing a deeper thought specifically about Nikon and their DSLRs. The D610 and D5300 don't seem like all that much, do they? A slightly faster frame rate here, a built-in WiFi there, here a feature, there a feature, E I E I O.
I'm actually encouraged by these two camera introductions. Yes, I think they actually show that something potentially more interesting is brewing within Nikon. Both these introductions seem to be "do something quick to show that we're not a shark dead in the water." When people think you've stopped swimming, you've got troubles in the tech world. The D5300 looks a lot like a "normal" Nikon iteration. Except for the fact that it's mostly moving extra-cost options inside and it comes out of order (the D3300 should have come first, and the D300s is still missing an update). In other words, not a lot of significant changes. It's as if the car company put a new stereo in the interior, tweaked a few parts to make them look up to date, and called it the "2014 [carname here]." Oh, wait, we're talking about cameras. Same thing, basically. It's the 2014 D5xxx. So let's analyze why this update came so fast and why it has so little to it. What the D5300 looks like to me is "what can the Junior team do quickly that will look like a regular intro and might bring some sales while we focus all the rest of the team on what really needs to happen?" If you missed it, here are Nikon President Kimura's recent published remarks on DSLRs: "...when it comes to interchangeable lens-type digital cameras, we need to question our ability to offer truly innovative functions and performance." Now, neither a D610 nor a D5300 offers us anything in the way of truly innovative anything (not even the excuse for creating the D610 is innovative ;~). Yet those were the first camera introductions following Kimura's statement. I've followed Kimura-san for quite some time, as previous to running all of Nikon he ran the Imaging group. As with many Japanese executives, you have to parse his words very carefully, but one of the things I've always admired about him is that he's been reasonably direct and never outright deceptive. He tends more to drop hints to those that can read them. So I believe what he says needs to be done with DSLRs, and that Nikon is actively engaged in achieving that, despite the D610 and D5300. I also believe what he said recently about Nikon creating non-camera products and a camera that will change the concept of camera in the future. I have grave doubts he would have made any of those statements without knowing that they would come true soon. If you carefully analyze all that he's publicly said in the past year, it seems clear that he sees that things have to change and he has been telling the world that Nikon is about to make some changes. Kimura-san is foreshadowing, to use my word of the month. So why the dull new product intros, then? Simple: most of the team is working on achieving Kimura-san's vision. What that vision is isn't exactly clear. While he's been direct about change being needed and coming, he's also vague about what that change is or when it is coming. But I strongly believe that he's suggesting a product pivot by the company. Maybe more than one product pivot. I find it interesting that the D3300 wasn't the camera that was this fall's upgrade. If you look at the pattern (I'm going to round a bit to try to get to the likely "planned" period): D5000 to D5100 was two years, D5100 to D5200 was 18 months, D5200 to D5300 was less than a year. The low-end DSLR cycle (D40 originally, now the D3xxx line) has been: one year, one year, 18 months, one year, 18 months, currently 18 months and counting. So what am I thinking? I'm thinking that the D3300 might be where Nikon is targeting part of the pivot. There are a lot of simple design points they could hit that aren't in the current camera: smaller, AW, phase detect on sensor, simpler construction (ala Nikon 1, not their traditional DSLR design with hundreds of screws), more connected (WiFi ala D5300), plus a ton of more exotic things I'll just hold off on writing about for the time being. Even with the "easy pickings" one could imagine a very different D3300: mirrorless size, DSLR performance, fully connected to the smartphone world, still entry-priced. Look closely at Sony. Notice anything? They've just pivoted. Alpha DSLRs? Yeah, we still make them, but that's not where our energy is. Consider this progression: RX100, RX10, RX1. Or this one: NEX-5T, NEX-6, A7, A7r. (As part of the A7 intro, Sony said the NEX label is going away, so we're likely to have A5, A6, A7, etc. very soon. This range of cameras is in the US$500-2000 range, completely new or revised this year, is driving at the front end of the WiFi and programmable trends, and is exactly in the two areas where Sony has had any success in getting market share from Canon and Nikon lately (high-end compacts and mirrorless). Large sensor compacts with fixed and zoom lenses. Say, a 1" 28-200mm equivalent that's almost shirt-pocketable. At the higher end, some 24mp prime compacts, though probably APS instead of FX (cost advantage). DSLR-to-Mirrorless DX transition starting at the bottom. A D3300 (probably not the name if you're going to pivot) that matches everything about the A7 except for price and the sensor size. Keep-the-faithful DSLRs. Anything DSLR will be D400 or higher, I think, and wickedly well specified and top notch in performance. That's because there will be a lot of good performance in the price points below these models. I've been impressed with the D7100, for example. It gives up little against a D610. In fact, it has some advantages. 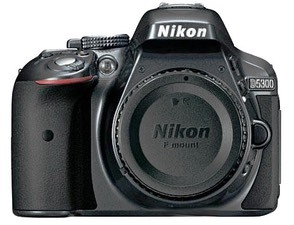 Cameras Nikon will eventually need to punt on: the P series Coolpix as currently defined. The consumer DX DSLRs (D3200, D5300, D7100), which all need to get simplified in how they're made, get parts and cost reduced, and move to the mirrorless future faster (though still use legacy lenses). I doubt that the higher end DSLRs, especially the FX lineup, is in any danger at the moment (other than self-imposed QA incompetence). Long term maybe. But long term means D5 in 2015 at best, the D6 in 2019 at worst. So what I'm looking at is Nikon's Jan/Feb 2014 releases (or if they postpone them a bit, their early Spring 2014 releases). If any of those start to align with Sony's pivot, then the entire industry is about to pivot. But it's entirely possible that Nikon's pivot might go a different direction, so anything that looks like a very different kind of camera from all those recent Sonys and the current Nikons will also tell us something useful. Bottom line: pay very careful attention to the first Nikon camera intro that isn't just another model year upgrade. That would be a hint as to what the engineering team was working on. I still believe in my communicating, programmable, modular (CPM) future, by the way. You can see by the inclusion of the WiFi in the D5300 that the communicating part is slowly beginning to proliferate, even in places where folks told me a couple of years ago it wasn't necessary. It's necessary. The days of using card readers are going away. They need to go away. (That has other implications I haven't written about, but I've got to save something for future articles ;~). Sony has made a baby step towards the programmability, but they're still an infant; they have no idea what it is they're playing with yet, let alone how to use it. Nikon has now made multiple patents regarding modularity. CPM is coming folks. Just not as fast as anyone wants it to, especially me. So, welcome the D5300. Its presence means we're going to have some big sales on other DSLRs this Christmas, I think (e.g. D3100, D3200, D5100, D5200, D7000). Nikon would probably try to hold the line as much as possible on D5300 and D7100 pricing, just as they're trying to do with D600, excuse me, D610 pricing. But putting all the rest on sale would make Sony's pivot much harder. After all, those 16mp and 24mp DX bodies produce incredibly good photos when used right with all those legacy lenses, so if they're bargain priced, they'll be hard to resist compared to Sony's higher priced pivot models with almost no lenses.